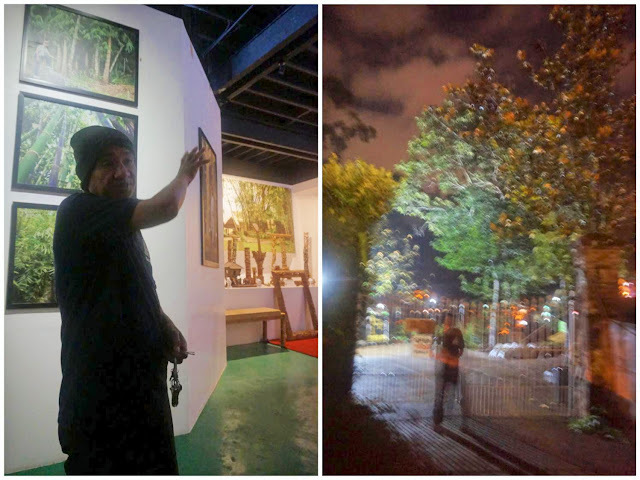 As we opened our van’s windows to take a peek into the abandoned, locked property in front of us—the former site of the infamous Hyatt Hotel that was devastated in the 1990 earthquake—we knew it was not just the famed cold Baguio City weather that made the hairs on our skin go up and our spines chill a little. It was something else—something unexplainably and eerily ominous. 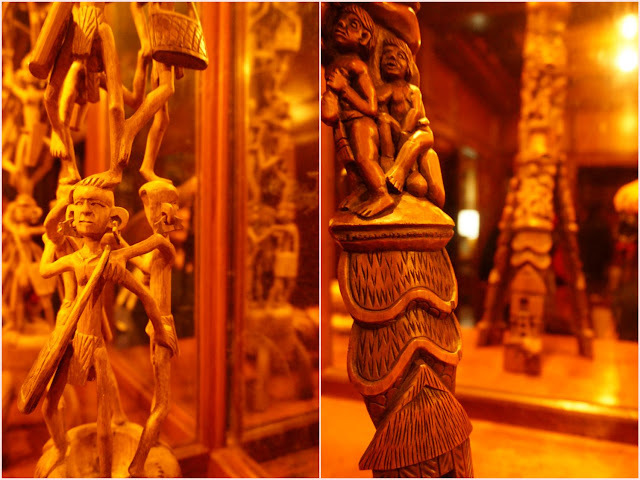 After all, this was no ordinary stroll around the summer capital of the Philippines. 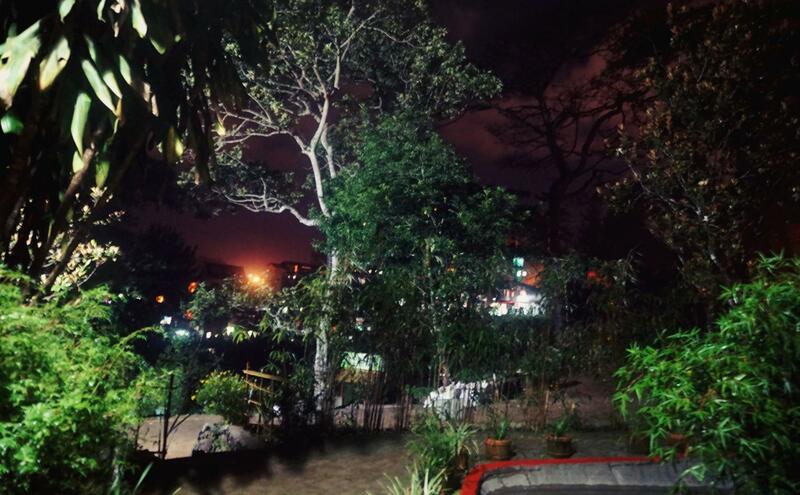 Baguio City in Benguet province is a four-hour drive going up north from the capital city of Manila. Aside from Baguio’s cool weather, culinary discoveries, and prominent tourist spots, the city’s strange tales, urban legends, and spooky destinations also draw interest from curious travelers, thrill-seekers, and paranormal enthusiasts. Our group that afternoon was no different. All seven of us went to Baguio City as part of a bigger assembly for our division’s team building. 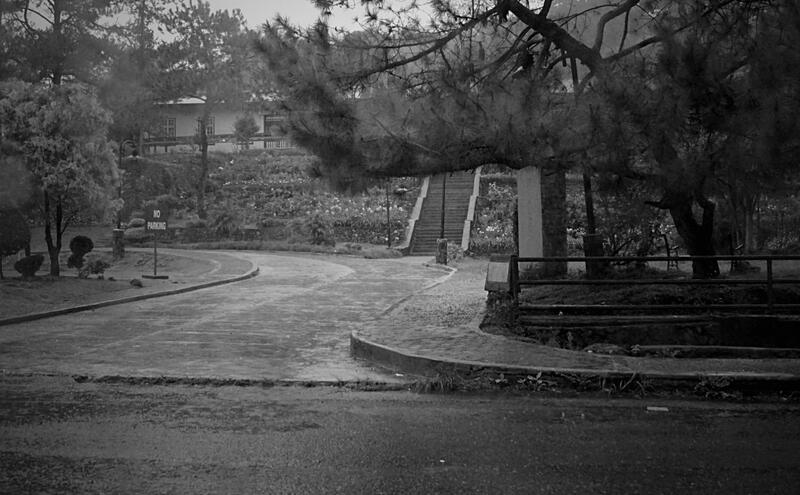 On that particular afternoon, we went on separate groups: one went to the usual Baguio City Tour, the other traced the movie That Thing Called Tadhana’s shooting locations, while we—the adventurous and crazy ones—decided to deviate from the typical Baguio City itinerary and signed up for a 3-hour ghost tour, courtesy of Pine City Fright Tours. 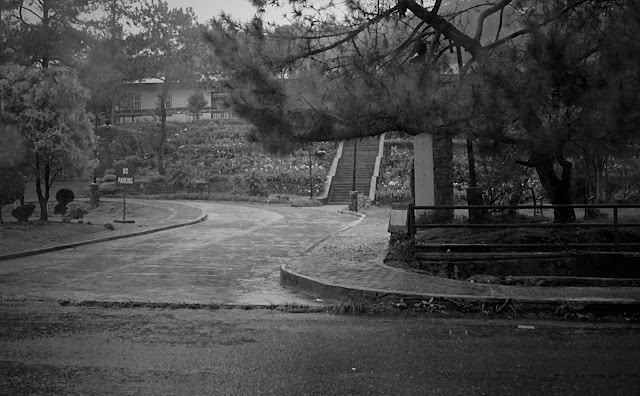 That's where the former Hyatt Hotel in Baguio City used to be. The hazy fog and the icy wind, brought about by the incessant pouring of the rain that afternoon, provided a creepy backdrop to the quest we were about to embark. While inside our van, we were even joking that our group—along with the weather and the setting—was the classic makings of a Pinoy horror film. You know, those that involve a whole barkada (group of friends) going on a road trip, only to get derailed by strange and unnatural occurrences along the way. We met up with ex-film editor and freelance videographer Anton Villa-Abrille, the founder of the tour and its sole guide (the only licensed ghost tour guide in Baguio City, I must add), along with the other people who have signed up for the tour. To add to the bizarreness of that afternoon’s events, the other group on the tour was a family who had with them their two toddlers! What parents would bring their kids to a ghost tour?! The ironic part was that the kids would go into a sinister laughing fit, as if on cue, every time we were at the perplexing parts of the tour: like that time we stopped by the location of the former Hyatt Hotel as I have described at the start of this post. Heavy rain dampened our ghost tour. 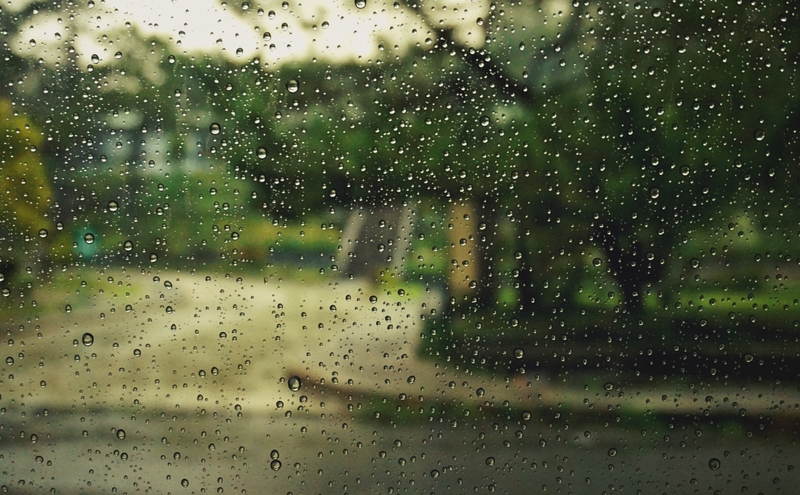 Unable to go down because of the heavy rains, we cramped inside our van as we looked from afar while Anton recounted the haunted tales of the cursed land where Hyatt Hotel used to be. 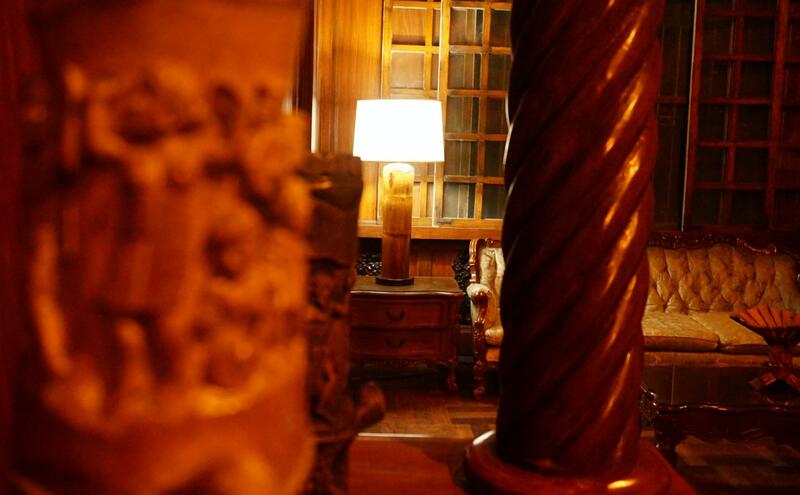 Everyone has heard how strange apparitions started right after the tragic 1990 earthquake that took the lives of vacationers, tourists, and hotel staff. It is believed that the spirits of the victims, unable to move on, continue to live on the Hyatt Hotel site up to this day. However, few people are aware that long before the earthquake happened, the land has already been ill-fated. Why? You must hear Anton tell the story himself as he shows spine-chilling photos and news clippings. Would you dare stay for a night in Teacher's Camp? Our subsequent stop was the notorious Teacher’s Camp along Leonard Wood, which is a popular location for company conferences, seminars, and retreats. There are countless ghost stories surrounding Teacher’s Camp as it used to be a battlefield for native warriors and tent-city during the American occupation. 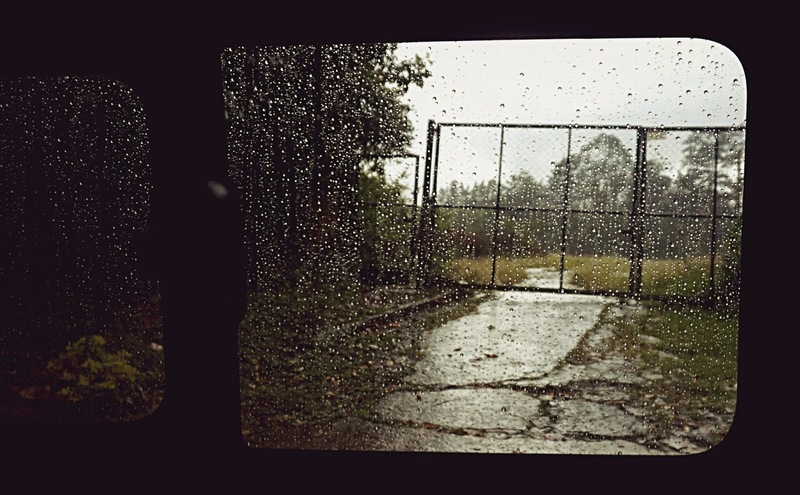 It was still raining when we drove by Teacher’s Camp so we just stopped in a street fronting the large oval. 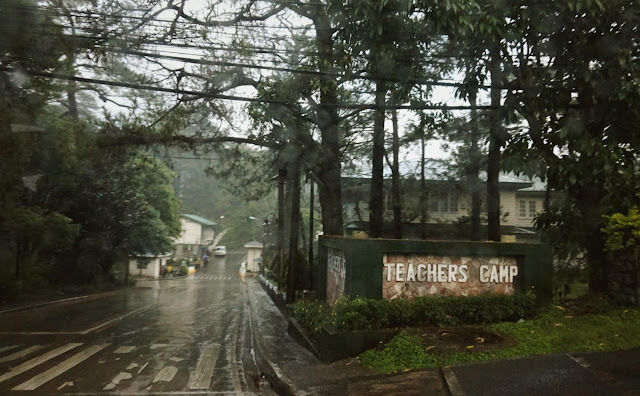 But it didn’t make the situation any less frightening because the street where we were is also the same one where the ghost of a raging, violent woman—believed to have been raped and killed in Teacher’s Camp—is rumored to appear every now and then. Picture the spirit of a violent woman here. 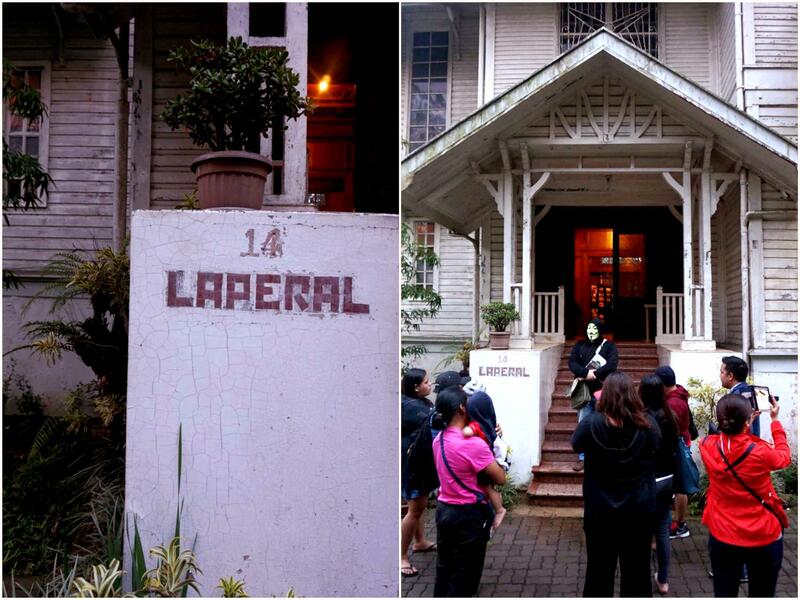 Finally, we were off to the last stop and the highlight of our Baguio City ghost tour: #14 Laperal. The Laperal Mansion or the Laperal White House along Leonard Wood is probably one of the imposing structures you will encounter in Baguio City. 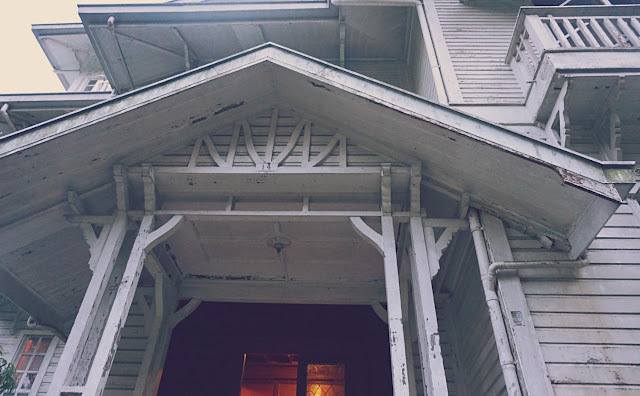 Its Victorian-style architecture has withstood fire, war, earthquake, and a damned family history. 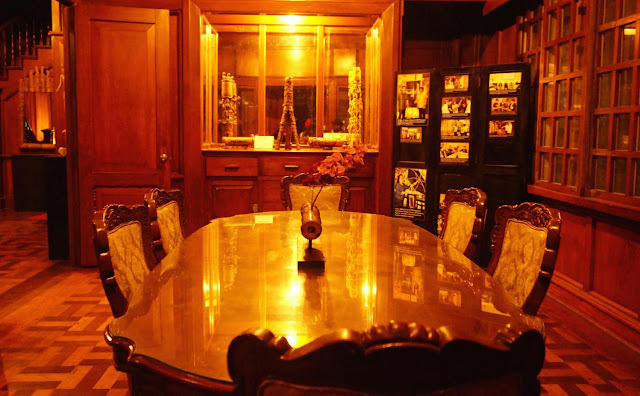 Built in 1920, the mansion was the home of the family of Don Roberto and Dona Victorina Laperal, one of the deep-rooted clans in Baguio City. 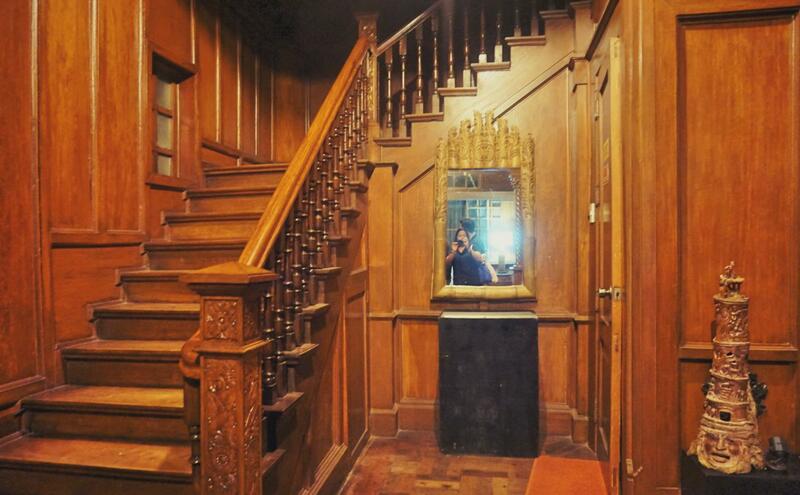 Boasting of premium narra and yakal, the house was witness to various terrors and horrors—from the mysterious deaths of each member of the Laperal Family to the deaths and devastation caused by World War II. 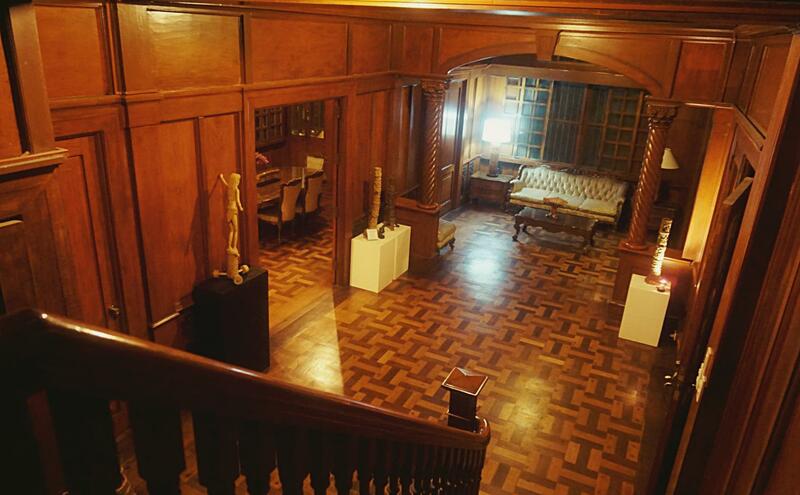 Today, business tycoon Lucio Tan is the proud owner of the mansion that has been transformed into a bamboo gallery. 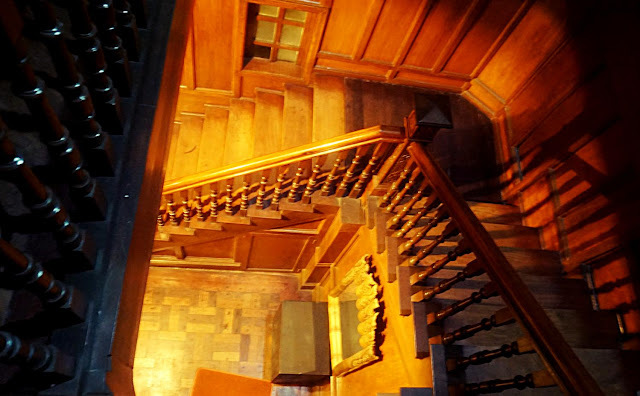 Despite the renovations and restorations, people still believe that spirits and the supernatural continue to live in the house. 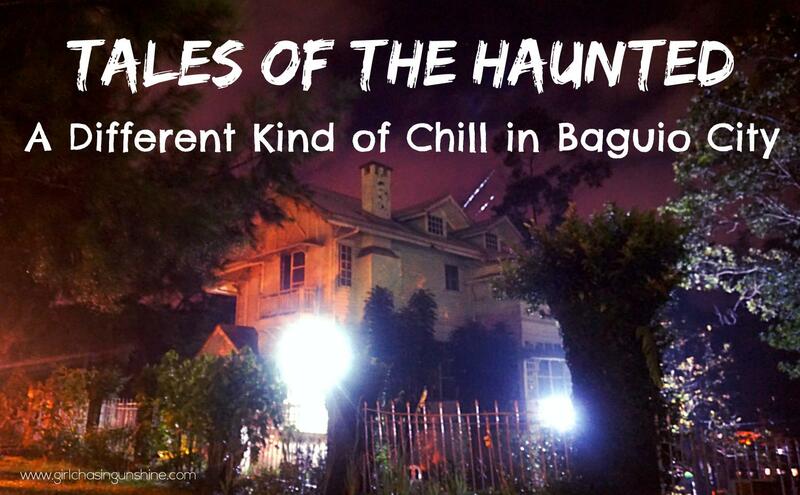 The Ghost Hunters of Baguio City. This photo gave us the creeps. Can you tell why? 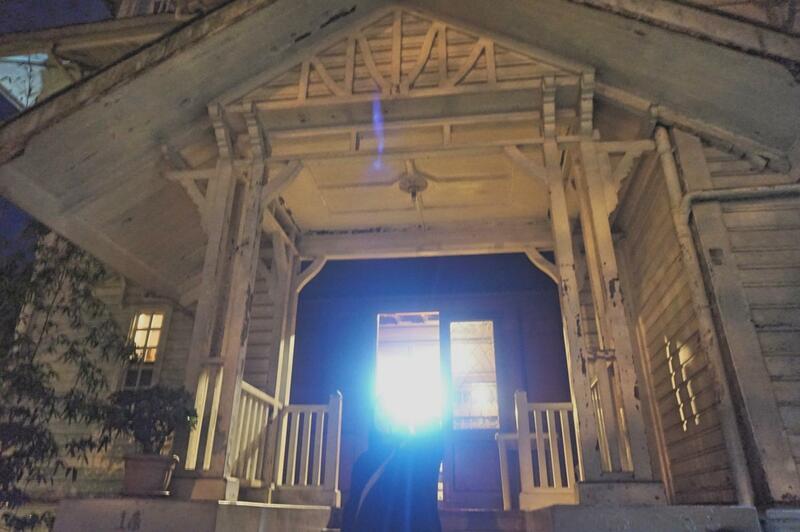 The moon was almost creeping when Anton led us inside the mansion. While I was caught impressed by the interiors, elegant furniture, and bamboo displays upon entering Laperal Mansion, it was quickly overshadowed by a dark, strong, and hostile presence that welcomed us. 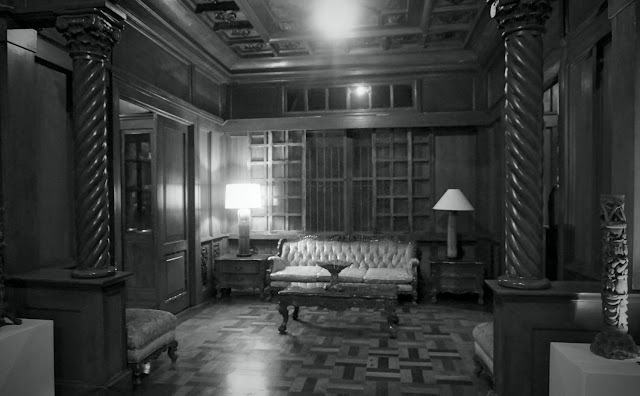 The dining area of the Laperal Mansion. Anton told us that the caretaker would usually find the chairs out of its places every morning. The interiors of the mansion. I am no clairvoyant but it was as if watchful eyes were glued on us as we roamed around the house. Goosebumps sprouted all over my skin and the rest of the group couldn’t be separated from their arm locks and hand grips with one another. The group was holding on to one another all throughout the tour. And yes, the tour did have some hair-raising moments—the babies crying as we went up the narrow staircase; one of our companions getting locked up inside and coming out spooked from a small cabinet where the Laperal’s eldest son allegedly committed suicide; going inside the rooms while Anton recounted each cryptic death that fell on all the members of the original Laperal Family; peeking into the attic where Japanese soldiers died. The brave soul who volunteered to be locked up. The stories were a mix of disturbing and historical. Anton certainly ramped up suspense with his expert knowledge and narration of the folklore, stories, and horror tales surrounding the Laperal Mansion, coupled with photos and first-hand witnesses (the mansion’s long-time caretaker was there to share his story). Best of all, Anton still managed to inject some humor into the tour despite the fright we were all engulfed into. The caretaker of the Laperal Mansion. 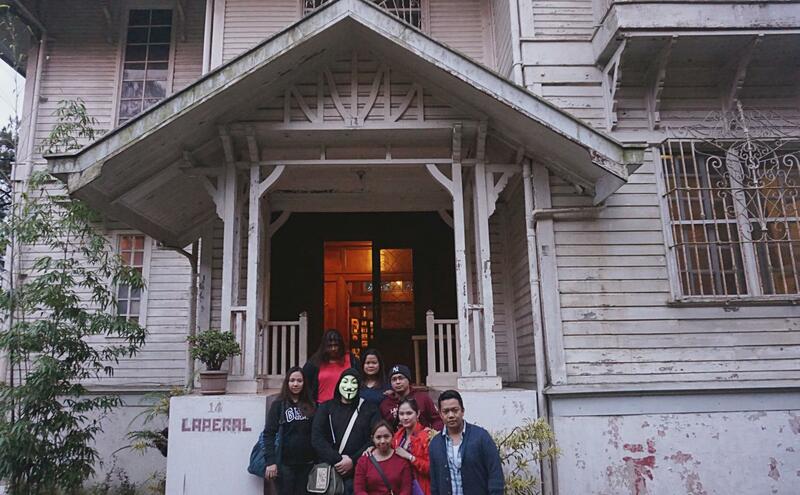 Overall, it was a tour that we needed to take to fully understand the myths and mist surrounding Baguio City’s horror history. If you want a thought-provoking detour from the usual Baguio City tour, there’s no way to go but to the Pine City Fright Tour. Have you been on a ghost tour? What are some of your spooky experiences while traveling? Share them on the comment box below! Awesome post!!! I love going on ghost tours! I went to one when I was in Australia - probably around 7-9 years old then - and it scared the hell out of me. I can still remember the faint, musty smell that came from one of the "torture" rooms in an underground passage we visited. Love your writing style by the way. Really complements the tone and topic. Not sure if I would trade a nice and quiet stroll around the city for a spooky and mysterious tour. But well done courageous lady! Loved the post, good to know that in Baguio we can find such unique experiences. 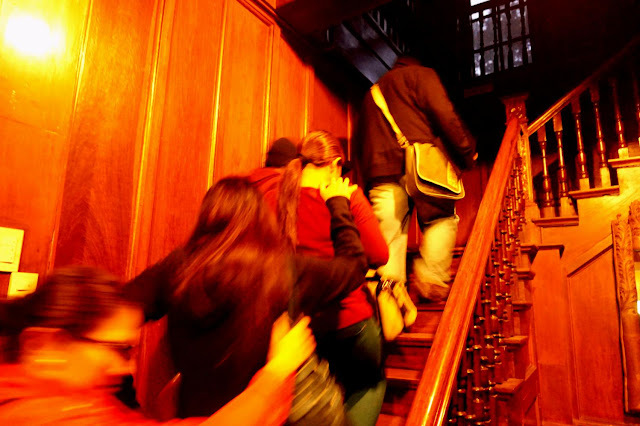 I'm not a big fan of ghost tours, I'm always too afraid :D what you described in your article sounds so creepy! I´ve never been on a ghost tour, sounds positively freaky!!!! Great post. I like to cover huanted places and there are many in India. Greate pics complementing the story. You are one brave girl. 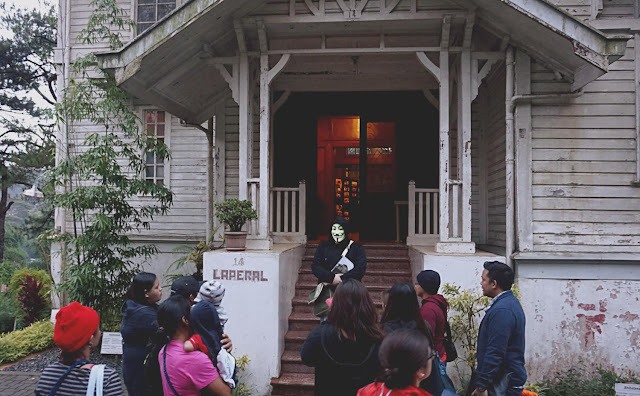 When we went to Baguio, my friends were very much into ghost tours but I am too scared for that so I left them to do their own thing. Waaah especially since it's known to have a lot there. I don't believe in ghosts, but this actually sounded pretty spooky! Great writing and descriptions of the tour. Those laughing toddlers haha-can't believe the parents brought them either! Interesting take on the city! I love going on ghost tours, and this sounded like fun! 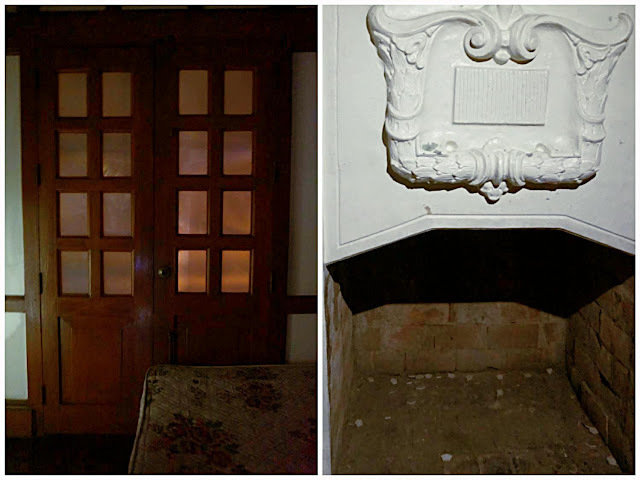 I find ghost tours really fascinating! I went on one a few years ago in Sydney and it was both funny and scary - this one looks like an interesting way to explore the city. I always wanted to see this place! I was too young to do it the late I visited Baguio, hopefully soon! So creepy! I love exploring abandoned buildings, didn't even know about this one! Wow! Creepy and fascinating at the same time! I'm easily scared so not sure if I would be brave enough to do this!! Anton sounds like a great guide. Did you believe? I've never been on a ghost tour but there's one here in Seoul that I've been wanting to check out! Love a good ghost tour! I just went on one in Seoul, I was anticipating creepy and scary, but aadly it wasn't! This one sounds like it would scare me a lot! 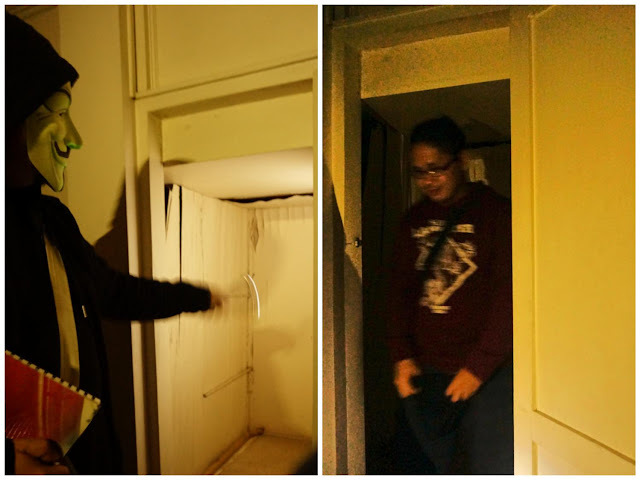 Never been to a ghost tour and wouldn't never dare to go to one. Sounds like something we would like to try! Brilliant narration and photos !! Seriously, I'm ready to go on a weekend adventure here on halloween!! 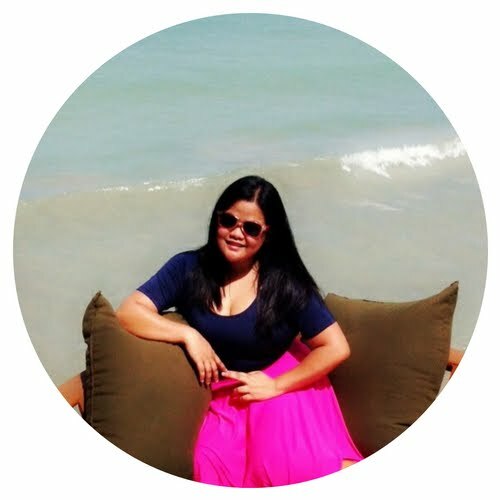 Love your pictures and telling! 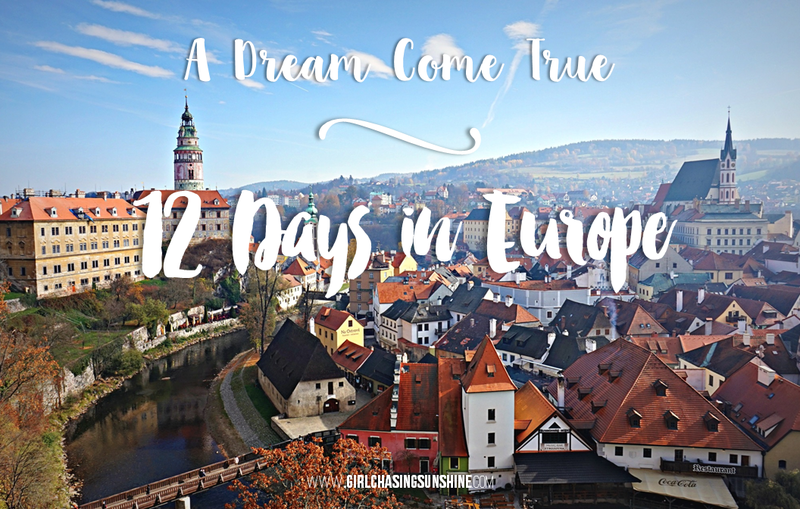 Great halloween like adventure :D We'd have loved to go here, but didn't make it in our last trip. Hopefully a next one we will! Sounds creepy! 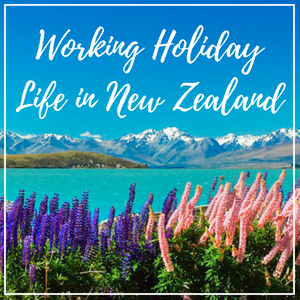 Perfect post for October (with Halloween looming)! I've never done a ghost tour, but sounds like fun! We love exploring abandoned places ourselves and are avid "urbexers", granted we go without permission, but it is for the history and the atmosphere that you just can't describe! We have had some pretty spooky moments! I think we would love this! A Civil Engineer will be astonished how well this antique haunted house remained strong. A powerful earthquake and a couple of super strong typhoons never brought it down. I stayed for 5 days at teachers camp. We lock our rooms all the time, when we came back it's unlocked. This happens during our entire stay in the village. Maybe the door is broken or something? Then the toilet cistern keeps on clanging..not flushing mind you... maybe the blasted thing needs fixing as well. Then one night at about 2 to 3 am all hell broke lose! The girls dorm went crazy, the chicks came running out screaming "Ghost! Ghost! someone one was crying in agony in their toilet. No one was there. The Chicks left in a hurry. some of the brave gals stayed and ignored the crying. Seems that the Ghost only cries and didn't hurt anyone. I heard the crying like this before in one of my newly rented retail shop. we where all men about 6 of us. We turned chicken that day. I acted brave and tried to look cool by checking the toilet out. I swear the crying was right besides me but no one was there! No wonder the stupid landlord gave me such cheap rent! Anyhoo, I blasted the place with Vanilla Ice song (Ice Ice baby) for the whole week non stop and it drove the Mamaw out of my shop! Loud music if you want these spooks out of your humble abode.